Close the door to your office. It’s lunch time. No one needs you for the hour, even if they make you feel like they do. Loosen the tie, or take it off altogether. The world will spin without you, and you won’t miss much that you can’t resolved in an hour’s time. You’re important, sure, but not so important that you can’t spice up the day with some cracked pepper turkey from Jennie-), topped with turkey bacon, held tightly by the strong hands of wheat bread. 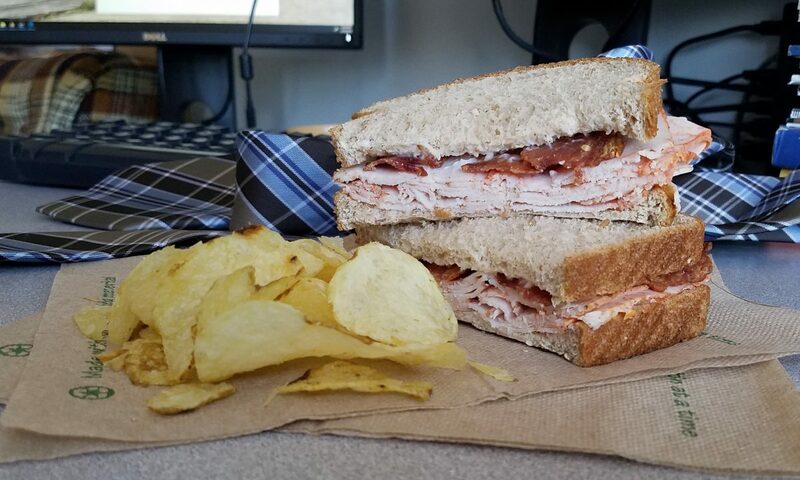 Like your co-workers are feeling about you right now, you won’t realize how great this sandwich is until it’s gone, but it will make it even better next time, so eat it up and build your strength, because the afternoon is ahead.